Probably you already heard about jQuery. It is widely used by brands like Google, Microsoft, Dell and open source like Wordpress and Drupal. 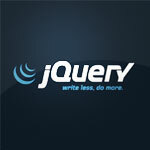 This post collects the top ten pro arguments choosing jQuery is good.